Versions for back wiring actuator mounted solenoid. See 007T. 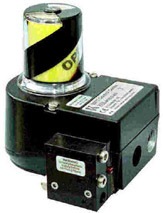 CE Marked – Low Voltage / ATEX Directive compliant. 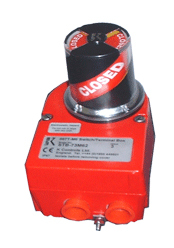 A device for monitoring on-off valves in Zone 1 or Zone 2 hazardous areas and dust Zones 21 and 22. Specifying the 007 M6 EEx ed IIC/IIB T6 Switchbox from K Controls will provide you with an angled body design and two point cover fixing. 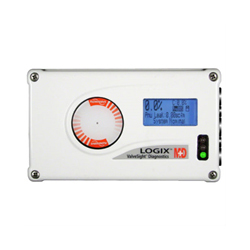 This will give you quick and easy access to the internals and a reduction in your commissioning times. As the enclosure is classified EEx e there are no flamepaths to maintain and the unit is lighter and more compact than EEx d equivalents. 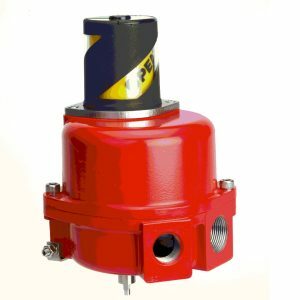 Add to this the option of stainless steel and the product becomes particularly suitable for offshore applications. K Controls held a BASEEFA Licence that supplements the requirements of ISO 9001 since 1991 and now holds an ATEX Licence to manufacture EEx ia, EEx ed and EEx d equipment.